In June of this year the MCSP PPH Community of Practice and the Ending Eclampsia project co-convened a technical meeting “An Unfinished Agenda in Maternal Health: Meeting the needs of Women with Preeclampsia/Eclampsia and Postpartum Hemorrhage.” Meeting participants included researchers, implementers and advocates from many organizations who reviewed the epidemiology of PPH and PE/E, new cutting-edge evidence, critical program implementation gaps and priority actions and collaboration opportunities to improve access to and quality of woman-centered life-saving care for PPH and PE/E prevention and treatment. Key meeting themes included (1) improving women’s access to timely respectful PPH and PE/E care, (2) strengthening PPH and PE/E quality of care and essential system functions, and (3) strengthening PPH and PE/E care-coordination and referral systems. The following podcast discusses these themes and highlights key points that emerged from our discussion of how our projects, and others, can work to reduce the preventable deaths of women from the two leading causes of maternal mortality worldwide. Note: We know your time is valuable. If you are not able to listen to the entire podcast, do not fret! It will have a permanent home on www.endingeclampsia.org and http://www.mcsprogram.org. You can also join the Ending Eclampsia Discussion Forum here. For more information about the Maternal and Child Survival Program please visit their website here. Stay tuned! 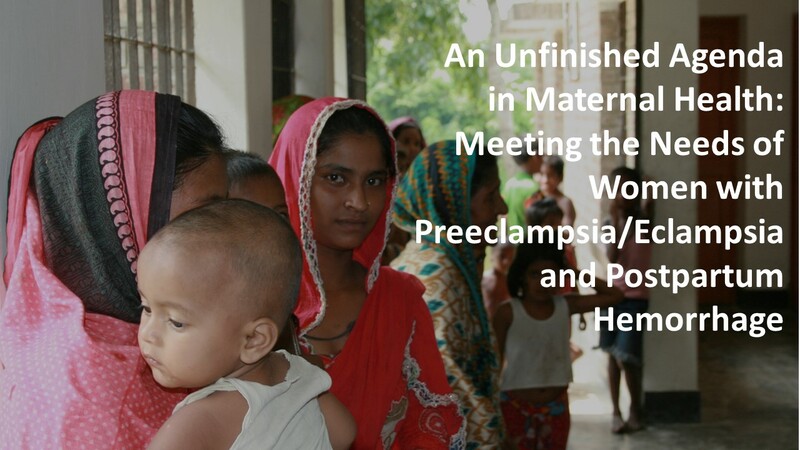 In spring 2018 Ending Eclampsia and the Maternal Child Survival Program plan to host another joint technical working group meeting. Details forthcoming in the new year.